At least one colleague and friend discovered my interest in history through last week's Herald-Leader article by Cheryl Truman. To my luck, the avid baseball fan and history buff had an 1873 map of Kentucky which he has graciously given to me. It originally belonged to his grandparents, and he knew I would appreciate it. I learned that J.H. 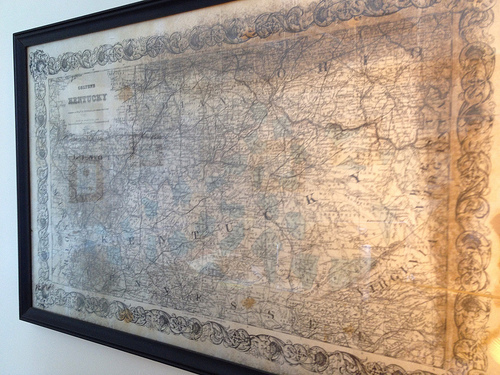 Colton was an internationally recognized cartographer from 1831 to 1890. 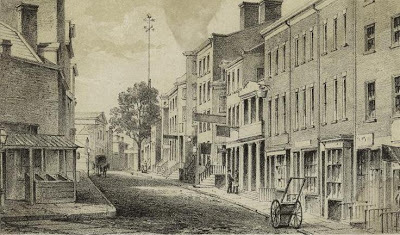 His two sons were brought into the fold in the early 1850s: George Woolworth Colton and Charles B. Colton. G.W. and C.B. It looks like the two sons published the map which is seemingly unique. 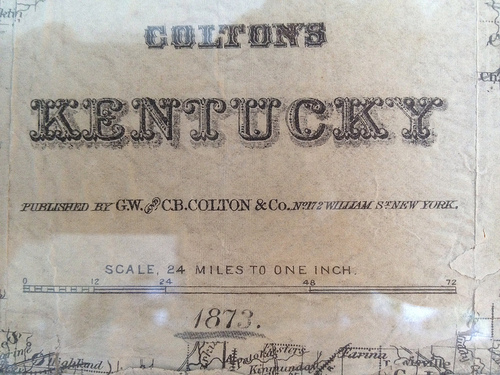 There are many Colton maps spanning multiple decades which combine Kentucky and Tennessee, but I'm not finding one of just Kentucky. Truly unique, at least per the University of Alabama's historic map collection. Do you have any information about this map?